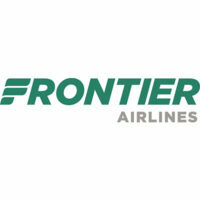 Frontier Airlines is classified as an ultra-low cost airline carrier in the United States. The company is based in Denver, Colorado. They operate in 54 destinations in the US and 5 other destinations internationally. This airline maintains its own hub at the Denver International Airport. On top of that, they also have other focus cities all over the US. The company used to maintain several regional carriers. They include Frontier Express (now Chautauqua Airlines),Frontier JetExpress, Lynx Aviation (operating Bombardier Q400 aircraft), and Maverick Airways. Frontier Airlinesfleet consists of several Airbus, Embraer, and Boeing 737s. Their Airbus A319-100 aircrafts are scheduled to be retired and replaced by newer Airbus A320neo. One of the distinguishing features of their aircrafts is the animals featured on the tail wings of the planes. Each aircraft is designated with a specific animal, and is quite popular with children. How old do you have to be to work at Frontier Airlines? The minimum age requirement to apply for a job in Frontier Airlinesis 18 years old. Note that there are job posts that require significant tenure in a previous job. Air Craft Appearance Agent: Air craft appearance agents are onboard positions. They primarily ensure an aircraft’s maintenance and sanitation. Other than performing safety checks, they also clean, restock, and organize each aircraft. Ramp Service Agent: Ramp service agents are responsible for loading and unloading parcels, shipments, and luggage. They should live in the same city as where the desired jobs are at, which allows for flexible work schedules. Customer Service Agent: Customer service agents should have excellent customer service skills. You should be personable and have a flexible work schedule. Functions include checking in travellers and facilitating the boarding process. You may also submit your applications for other job positions such as the following: ground instructor, inflight service manager, operations agent, repair administrator, safety specialist, and others. Most job openings require an applicant to live in the same city where the job post is required. That means you will most likely be applying for a job locally. Applying for a job outside of your regional area may not be the best option for you. Frontier Airlines limits the job search options usually within a boundary of a hundred miles of your location. On top of that, candidates will be asked if they are willing to commit to company standards. To start with the job application process, you will have to create an applicant profile at the company’s official website. Go to their careers page to fill out a form. Submitting an online application only takes about 10 to 15 minutes. Everything is pretty much straightforward. You will get a phone call from one of the company’s representatives almost immediately after submitting an application. The company rep will schedule your interview. In case you do not get a call after submitting your application, you may call the airline’s HR department to follow up on the status of their application. Although the company is a relatively small airline compared to larger franchises, the work environment here is usually bustling. Most of the jobs available in this company require frequent interaction with passengers. The company actually hires thousands of entry level workers and skilled professionals. They also hire professionals with extensive backgrounds in the same industry, which require specific training related to the job. Applicants usually undergo stringent background checks. That includes pre-employment screening and drug testing. Newly hired employees may have to undergo a probationary period before they get officially hired. Frontier Airlinesoffer a comprehensive benefits package to all employees who pass their probationary periods. The company provides free or at least reduced air fare for both full time and part time employees. The compensation package is usually pretty competitive. They also provide for an employee’s on going career development. Benefits also include dental, medical, insurance, and a 401(k) plan.